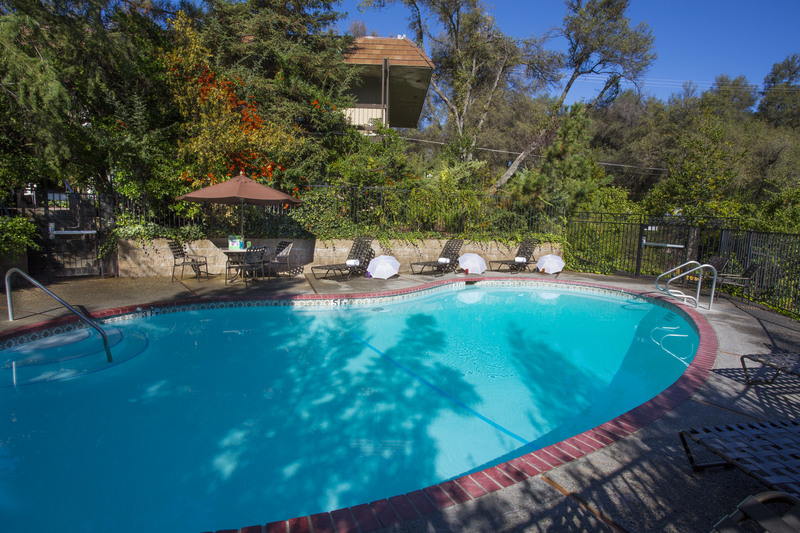 Our hotel in Oakhurst, California has deluxe amenities set against the rustic landscapes just miles from Yosemite. Enjoy a resort-like hotel stay surrounded by small-town charm, just miles from Yosemite National Park. Our enormous grounds make it easy for you to create the ideal getaway. Eat in our hotel restaurant, Oakhurst Grill & Whiskey 41 Lounge, or pick up groceries in town, store them in your room’s mini-fridge, and eat them at one of our charming outdoor picnic tables. 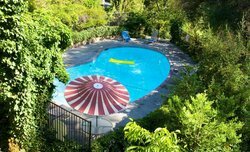 If you’re visiting in summer, lounge by our outdoor pool or step into the whirlpool tucked away from the main pool area. Winter getaway? 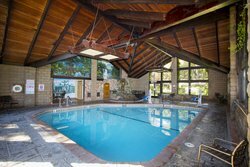 Our indoor pool is open year-round, enhanced by a water feature, whirlpool, and high wooden ceilings. All this and more awaits at Best Western Plus Yosemite Gateway Inn! Our enormous grounds make it easy for you to create the ideal getaway. Eat in our hotel restaurant or pick up groceries in town, store them in your room’s mini-fridge, and eat them at one of our outdoor picnic tables. If you’re visiting in summer, lounge by our outdoor pool or step into the whirlpool tucked away from the main pool area. Winter getaway? 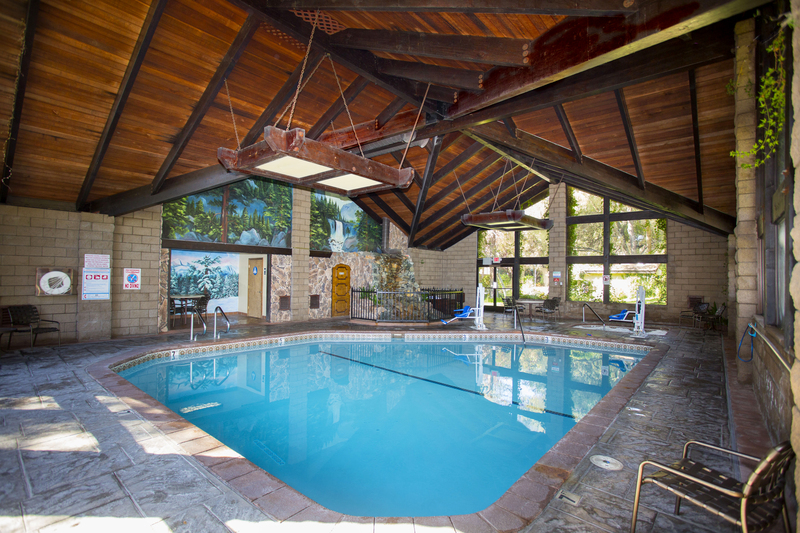 Our indoor pool is open year-round, enhanced by a water feature, whirlpool, and high wooden ceilings. All this and more awaits at Best western Plus Yosemite Gateway Inn! Our enormous grounds make it easy for you to create the ideal getaway. If you’re visiting in summer, lounge by our outdoor pool or step into the whirlpool tucked away from the main pool area.